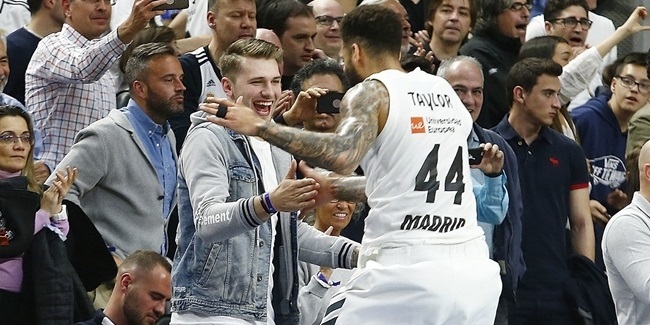 Two of the best teams in the competition, Real Madrid and Anadolu Efes, met for the second time this season in the Spanish capital on Thursday. In their first game in Istanbul, Efes led 74-60 after 30 minutes, but Madrid rallied to win the game 82-84 in one of the most exciting showdowns of the season. This game at WiZink Center did not disappoint anybody. The score was tied at 21-21 after 10 minutes and then again 42-42 at halftime. When a three-pointer by Shane Larkin tied the game again, 72-72, with 7 minutes left, it was clear that whoever found a go-to guy would have better chances to win the rematch. Sergio Llull had missed all of his 7 attempts from downtown up to that point, but now he hit the eighth one, soon added a jumper and struck again from downtown, scoring 8 points in a 9-0 run that Gustavo Ayon capped with a free throw. Llull had time to hit another three-point shot to seal the outcome, 89-81, in the next-to-last minute. He finished the game with 3-of-12 three-point shooting, but was accurate from beyond the arc when his team needed him most. Moreover, Llull set a new career-high with 8 rebounds, dished 5 assists and collected 2 steals. After one of those steals, late in the third quarter, Llull dribbled between Krunoslav Simon's legs and finished the play with a layup. 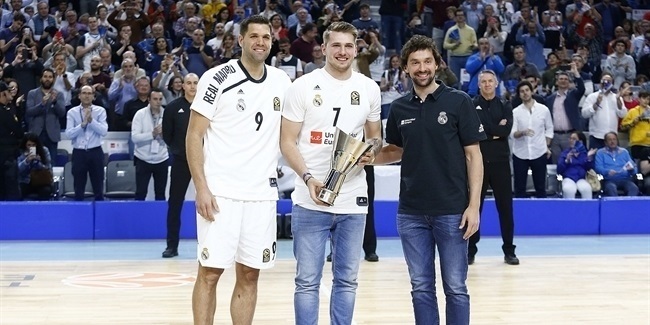 Most important, Llull was all smiles at the end of the game, a good sign going forward. "When we are all having fun together, we play great basketball," he said right after the game. "I think it is the key." Rebounds made the difference in this game. Efes had more assists, fewer turnovers, and a better shooting percentage, but Madrid dominated the boards like never before. Los Blancos pulled down 46 rebounds and allowed Efes just 24. That 22-rebound difference is the biggest for Madrid this season; it had outrebounded Maccabi FOX Tel Aviv 27-46 on the road earlier. 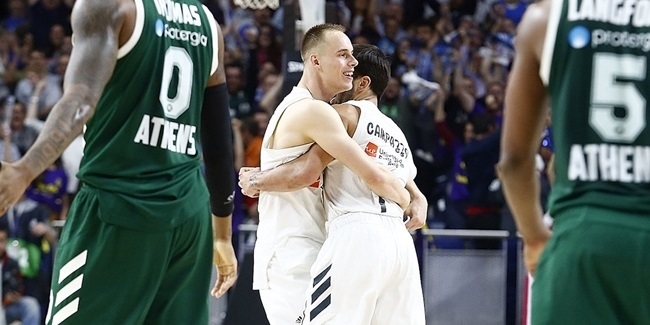 In their first game in Istanbul, Madrid outrebounded Efes by just one, 34-35. The game was a treat for all EuroLeague fans and in the end, Llull made the difference, which is excellent news for Madrid... and not so good for the rest of the EuroLeague contenders.